As you can see below, the IRS listed EAs Enrolled Agents on the top of the list, the reason is obvious, EAs are licensed by the IRS directly, the IRS know that they have the technical knowledge, background checked by the IRS itself, and are federally licensed to help taxpayers in all 50 states. 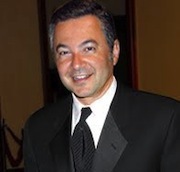 Our firm is founded and managed by Mike Habib, EA, he can represent you before the IRS for all tax matters. We assist our clients in effectively settling their tax problems through various settlement options. Call us today at 1-877-78-TAXES [1-877-788-2937].